All these underwater adventures, our researches and underwater investigations, the logistic and the publishing of our discoveries are closely linked to these firms and institutions which have been placing their confidence in us since the beginning and just as well sharing the risks as the successes. We are grateful to them for this. The name Messer has been associated with expertise in industrial gases for more than 100 years. Messer Group manufactures and supplies oxygen, nitrogen, argon, carbon dioxide, hydrogen, helium, inert welding gases, special gases, gases for medicinal use and a wide variety of gas mixtures. From acetylene to xenon, the Messer Group has one of the most diverse product portfolios on the market – it produces industrial gases such as oxygen, nitrogen, argon, carbon dioxide, hydrogen, helium, shielding gases for welding, specialty gases, medical gases and many different gas mixtures. In 2012, Messer Group becomes a preferential partner of l'Expédition Scyllias for deep dives on a WWII wrecks site off île de Groix. In 2015, the gas manufacturer announces its entry into the diving market with the launch of its new range Diveline consisting of three pure gases for the manufacturing of mixtures. These gases are available directly from Messer commercial agencies and the Messer indirect sales network. All agencies and dealers are accessible from the Internet portal and from dedicated mobile applications available on download platforms. This firm, specialized in importation and dealing of high-tech electronic devices for boating, sailing and people working at sea, has been sustaining l'Expédition Scyllias since several years and gives its assistance with the Humminbird fish-finders using the famous Side Scan Imaging technology which led the team to several successful investigations. Yvan Le Bouil, manager of AQUA-SPORT and diving specialist in Morbihan, has been sustaining the actions engaged by l'Expédition Scyllias since the beginning. He is always honouring his agreements with us and never hesitates in wetting his suit to participate and share the actions regularly engaged on the Lorient area. 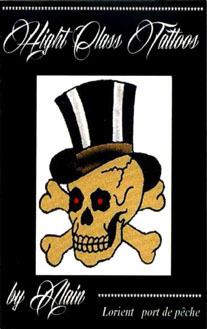 GRAHMBS (groupe de recherches archéologiques et historiques maritimes de Bretagne sud, team for archaeological and maritime researches in South Brittany), is composed of a dozen of divers all passionate with wreckdiving and researches of records of sailors from all countries. Hundreds of divings and thousands of hours were necessary to draw famous charts (15 issues in 14 years) very appreciated by divers and the general public. 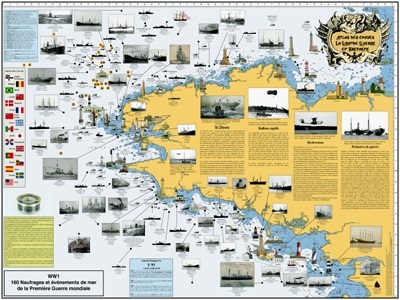 With their original concept, these charts introduce the nicest wrecks of the Brittany's shores where the old ships are revealed with their amazing and often unknown stories, their origins, their technical data and the circumstances of their wrecking. 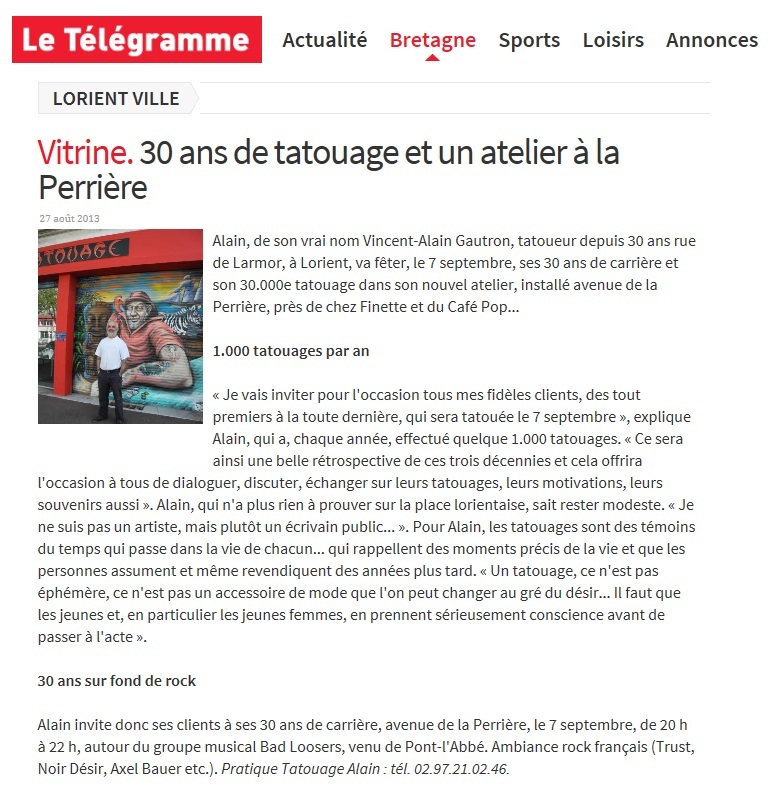 For over thirty years, the one who qualifies himself of "public writer" practices his art in Lorient. Experimented diver, passionate about History, Alain is also one of the cutting edges of l'Expédition Scyllias and participates in most of the discoveries on which we work. - See, below : television report by Bernadette Bourvon, "Dans la peau d'un tatoueur (Into the shoes of a tattoo artist)" ("Littoral" for 12th January 2013 broadcasted on France 3 Bretagne).